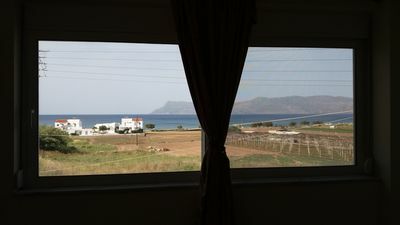 3BR House Vacation Rental in Anopolis/Heraklion, ????? The village is ideal for exploring the island. At the tavern "Aramnos" differrentes dishes taste the local cuisine or just a cup of Greek coffee in a coffee house in the village. For families with children a water park is very close to the village at a distance of one kilometer. 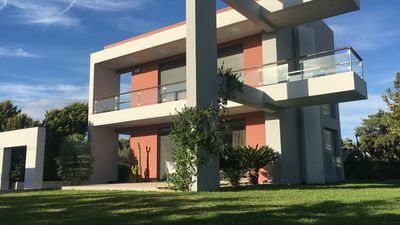 The Aquarium of Crete, one of the largest real estate developments in the Mediterranean, is at a distance of 5 km for those who love and want to watch the 2500 fish species. 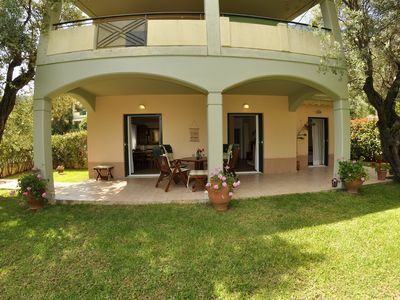 The area offers beautiful routes among vineyards and olive groves for those who want to go for walks or hikes. 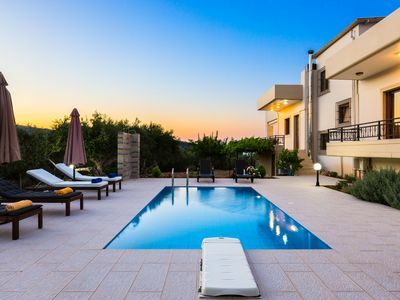 Renting a car is essential if you want to know Crete, the Minoan palace of Knossos or Phestos, the archaeological site of Gortyna or the old towns of Crete. 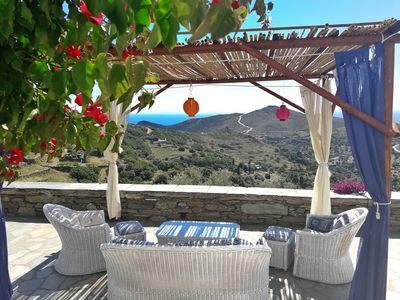 It is a place where one can know the character of the Cretan tradition and live in nature away from the noise of tourist cities. 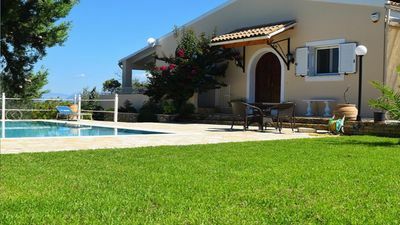 This is a quiet house which is Anopolis, traditional village of Crete nearly 15 minutes from Heraklio Airport and 5 minutes from the sandy beaches of Kokkini Hani. 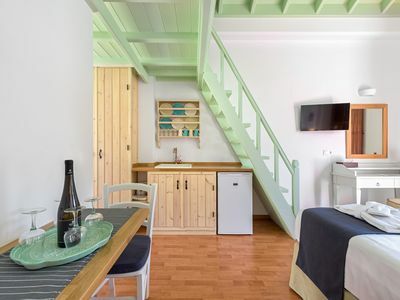 This is an old two-storey house of 70 stone which at first was used as a cellar, carefully restored in traditional style, suitable for 2-6 people. 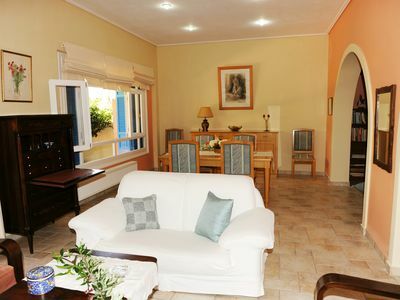 It is located in a quiet location Anopolis almost 100 meters from the village square. There are many cafes, taverns and a mini market. 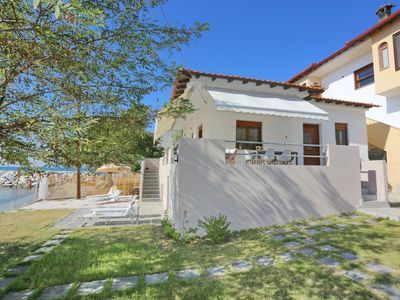 At Kokkini Hani, at a distance of 3 km, one can find supermarkets, bars, ATM and a variety of sandy beaches. 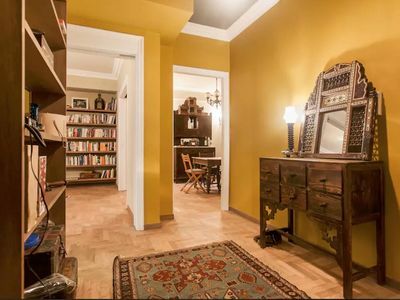 At the ground floor there is a living room, a dining room, two stone fireplaces, a well equipped kitchen and a bathroom with washing machine. 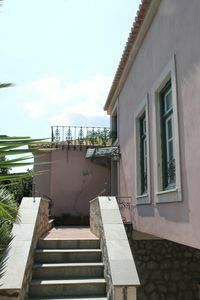 To the left of the living room, there is a staircase leading to the first floor has two bedrooms with two beds, toilet and three large verandas with bbq. 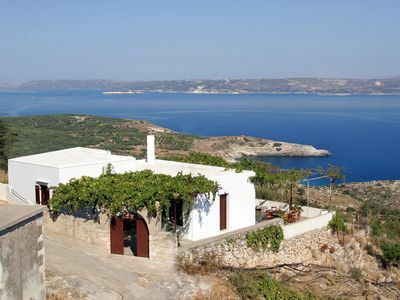 The view is panoramic, one can see the mountain range "Dicti", the Monastery of St. John and olive groves in the region. This is the perfect home for your relax after a tiring day. 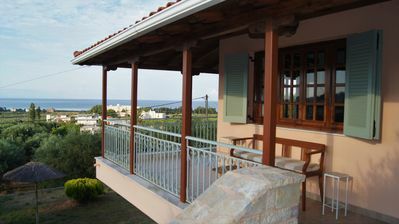 In the attic there is a room with a sofa bed and a large veranda with magnificent views. 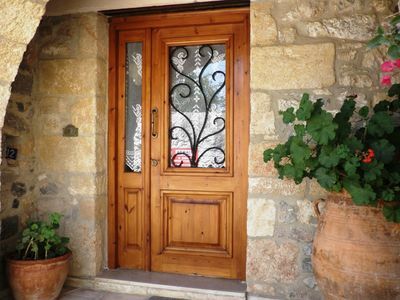 So this is a home where you can relax and know the daily life of a traditional village of Crete. There are a side tranquility of champagne and the other all the modern comforts and easy access to the city life. 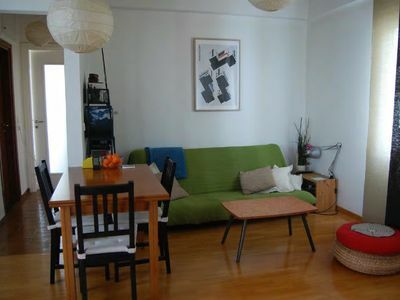 Sunny, comfortable, cosy, stylish, quiet.